Wash the mango and pear. Peel half of the mango and cut out the flesh towards the stone in the middle. Put the other half of the mango (with the stone still in it) in your fridge in a sealed container. Peel and core the pear (although not necessary to peel if organic and if your baby has not just started having solid foods). Purée everything together with the banana, vanilla, and "milk". ♥ Mum and dad can enjoy the leftovers (leftover purees with banana in them don't keep for more than a day in the fridge). ♥ You can freeze leftovers in lollipop molds. 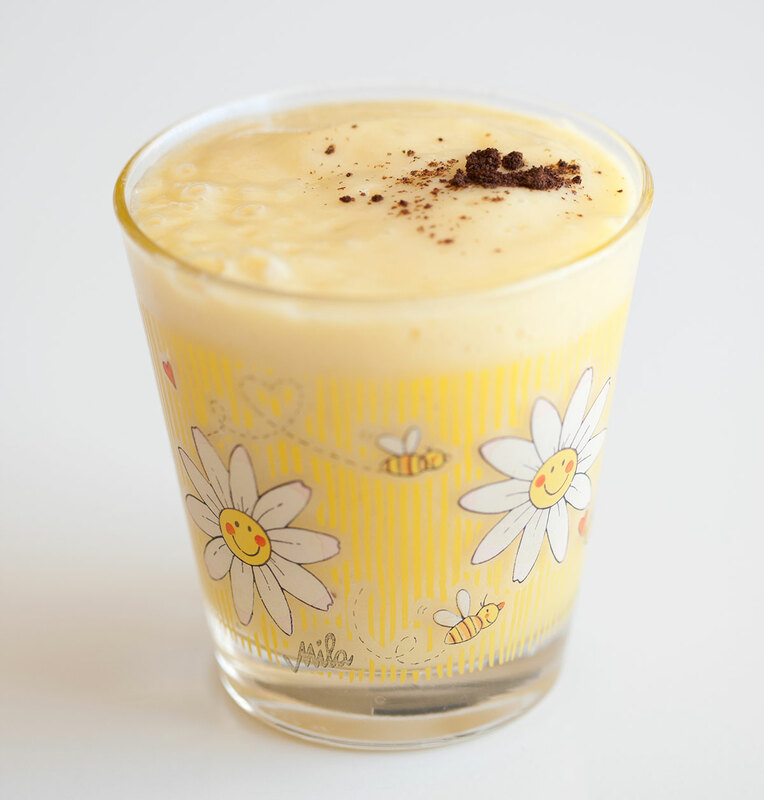 ♥ If the banana is frozen this puree will be very cold which can help relieve sore gums. ♥ For children older than 1 years you could add a handfull of organic kale or spinach. ♥ You can add 1-2 tbsp of Goji berries if you have them. ♥ Around 9 months (and sooner if your baby likes chewing), it is a good idea to begin to mash the food by hand when possible or cut finely, instead of puréeing it, to get your baby used to new and coarser food textures. No Replies to "Mango, pear and banana babyfood"